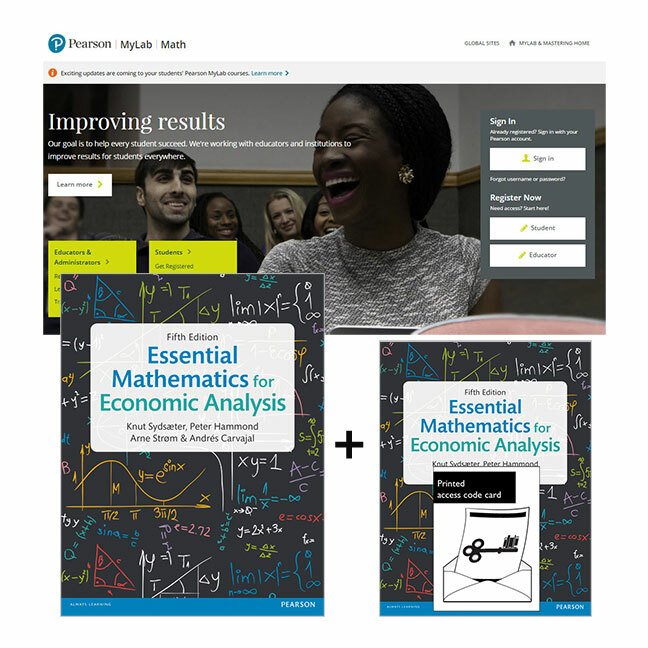 This package includes a physical copy of Essential Mathematics for Economic Analysis, 5th edition by Knut Sydsaeter as well as access to the eText and MyEconLab. To access the eText and MyEconLab you need a course ID from your instructor. If you are only looking for the book buy ISBN 9781292074610. An extensive introduction to all the mathematical tools an economist needs is provided in this worldwide bestseller.